Violet Simon has spent her entire life preparing to take her father’s place at the head of their multi-billion dollar automotive parts company. Shortly before her twenty-fifth birthday, she decides to take a month-long vacation and do a few things well outside of her comfort zone. Morné Styger still isn’t over his wife’s death, but he’s attempting to make a fresh start in Los Angeles. When the enigmatic Violet calls hims up at Adventures Inc. seeking a month of thrills, he’s eager to impress his first high profile client. But with her violet eyes and innocence, Morné has a hard time trying to keep things professional. Neither of them could have been prepared for the forceful attraction they shared, and neither will back down from their dreams. So where does that leave love? Danielle Taylor is just one of many independent authors who have chosen to self publish on Amazon. Her first novella, Captive at Christmas, delves deep into the mind to discover what makes people from opposite backgrounds tick...and what happens when they come together. 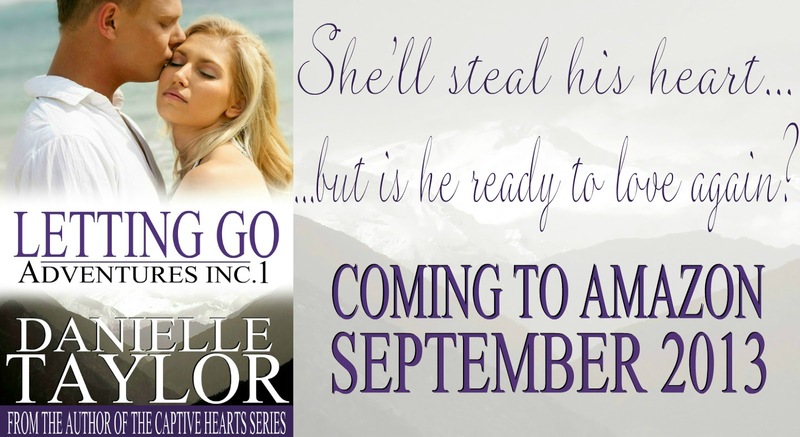 Intimate Strangers is the second title in the Captive Hearts series. Share book reviews and ratings with ✰ Janeane ✰ BJ's Book Blog ✰, and even join a book club on Goodreads. Share book reviews and ratings with ✰ Bianca ✰ BJ's Book Blog ✰ , and even join a book club on Goodreads. We do NOT own the rights to any of the pictures we post! Book Covers are the property of the author / publisher and any celebrity gifs or pics we use -> credits to whoever owns them! If you want us to take down anything - please let us know! THANK YOU! © Bianca & Janeane. Simple theme. Powered by Blogger.